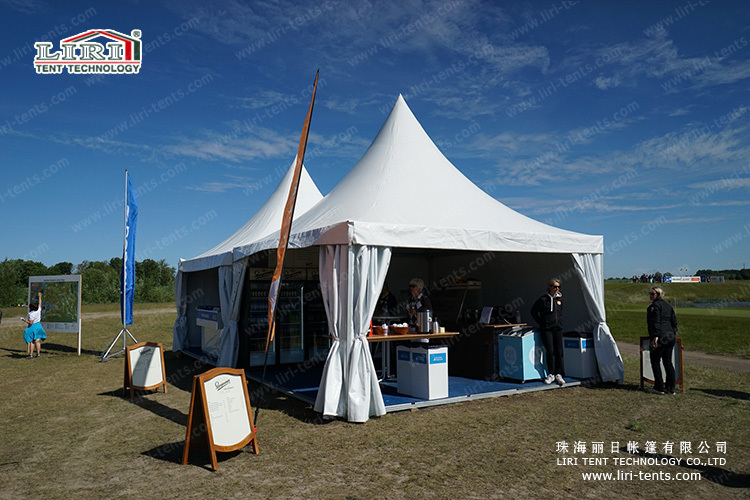 Our Gazebo Pagoda Tent is one of the most popular tent series which is suitable for all kinds of event. The following pictures shown is our Pagoda Tent as Golf VIP Lounge in Europe. 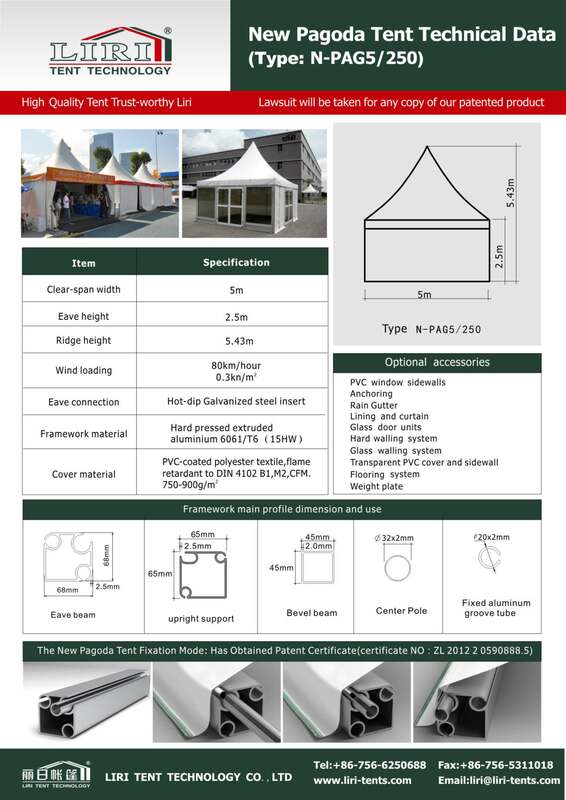 The standard Pagoda Tent Series is available in 3x3m, 4x4m, 5x5m, and 6x6m. It has a side height of 2.5m. This type of Pagoda Tent adopts a 3 channel 65x65x2.5mm aluminum alloy main profile. The standard 8x8m and 10x10m Pagoda with a 2.6m side height adopts a 4 channel 122x68x3mm aluminum alloy main profile. Wind loading capacity is 80km/h(0.3kn/m2). Pagoda Tent can be used as a single unit or combined to enlarge space and become a special structure style with a rain gutter.